Bach wrote six suites in different keys, each consisting of six movements. And while the titles of the individual movements are largely shared, the wide variety within the collection is quite astonishing. Some of the keys are more comfortable for the performer (G, D and C), while others are difficult in the extreme (E-flat Major). Bach employed unconventional tuning for the cello strings (in the fifth suite) and even wrote for a special five-stringed instrument in the final suite. It certainly appears that Bach was attempting to cover the entire range of human emotions in the six suites. The cheerful, youthful first suite in G major is followed by the introvert, dark and melancholy second, in D minor. The third suite in C major is brilliant, extrovert, rich and replete, an embrace. But the fourth in E-flat Major offers gloomy resistance. The fifth suite in C minor is like an ancient saga – dark and tragic but at the same time majestic – while the final suite in D major resonates with ecstasy, virtuosity and sparkling joie de vivre. Everything is precisely attuned to the characters of the different keys, as they would have been thought of in Bach's day. Keys that are designed to move the audience's souls. The six movements within each individual suite refine the image. The preludes, with which they all begin, sound like spontaneous improvisations, often looking forward to what follows. The dances that follow the preludes – the stately allemandes and spiritual sarabandes, as well as the rousing courantes and gigues – were all, of course, familiar dance forms in Bach's time, but in the suites, they often transcend everyday reality, plumbing the depths of feeling and providing detail, counter-arguments and contrasts. The full range of human emotions appears to be encompassed within the notes that Bach wrote for a single cello. "The beautiful transparent recording in the Koepelkerk in Renswoude makes her articulated play stand out well." "Lucia Swarts can entertain in the highest regions with this outstanding game." 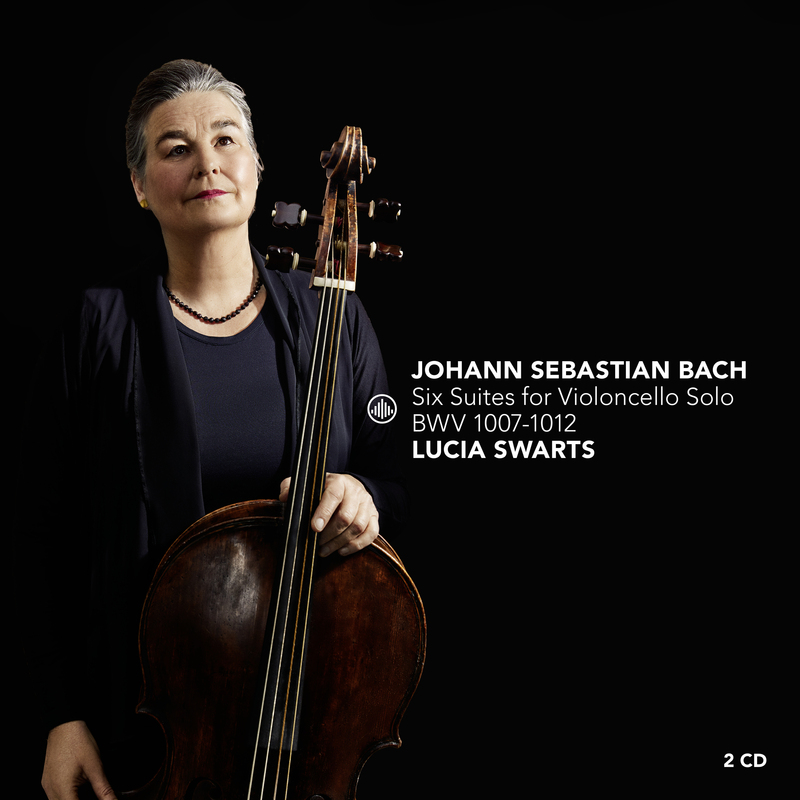 "Authentic "Six Suites for Violoncello Solo" by Bach, by Lucia Swarts, on the Challenge Classics label."